These are a definite go to in our house! 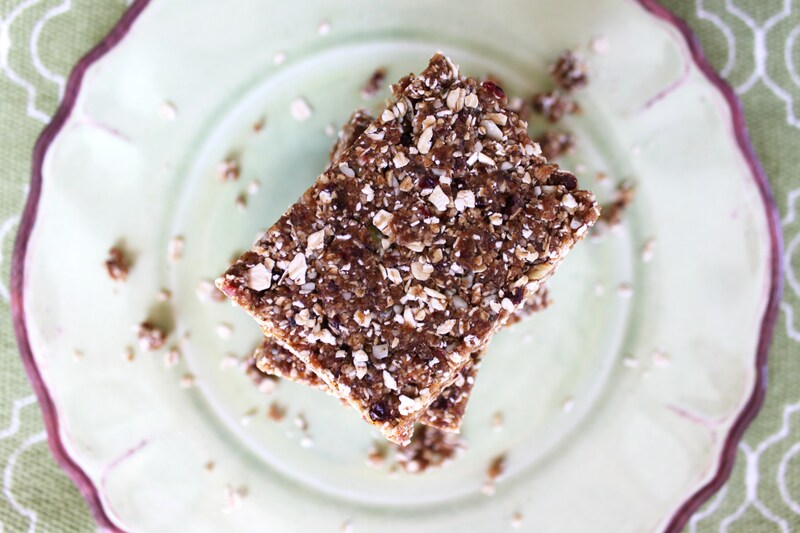 They are perfect for a morning or afternoon snack and full of nutrients for little ones and the whole family. 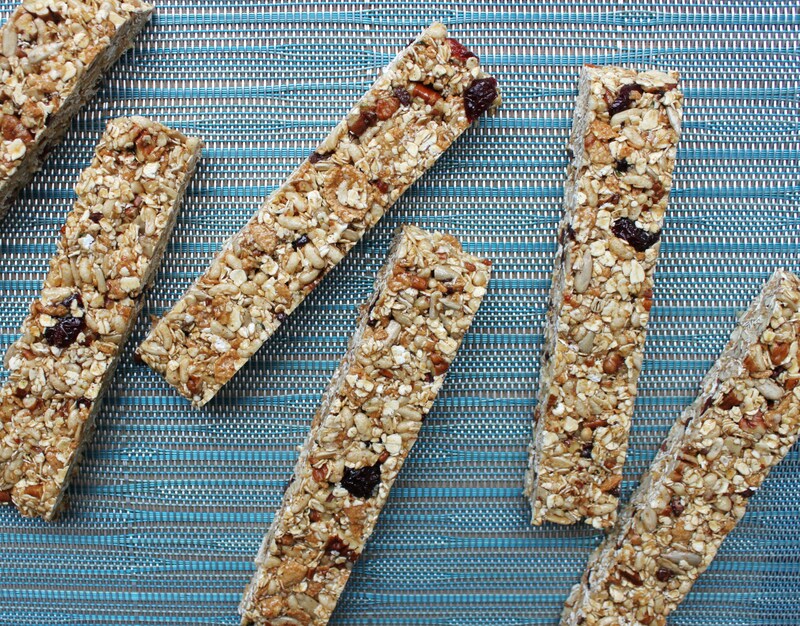 They are great to store in the fridge and are my kind of “grab and go” snack. They have a lot of ingredients but are easy to make with a food processor, and once they’re made you’re covered for the week! In a saucepan over medium heat, toast the almonds moving them around so as not to burn them. Put them in the food processer and process until broken down into tiny pieces. Add the dates by small handfuls pulsing the processor after each addition until combined. Slowly add all of the remaining ingredients processing for about 5-10 seconds after each addition. Process at the end until everything looks well combined, but do not overprocess. Line a baking sheet with plastic wrap covering the edges. (I use 2 separate pieces). Lay the mixture out on the baking sheet pushing it all to one end of the baking sheet. Press firmly into the corners and press down making it even. Be sure to push it down very firm so it sticks together well (You can use a rolling pin to go over it too). This is how you want it to look….. Put in the freezer for 30 minutes to firm it up. 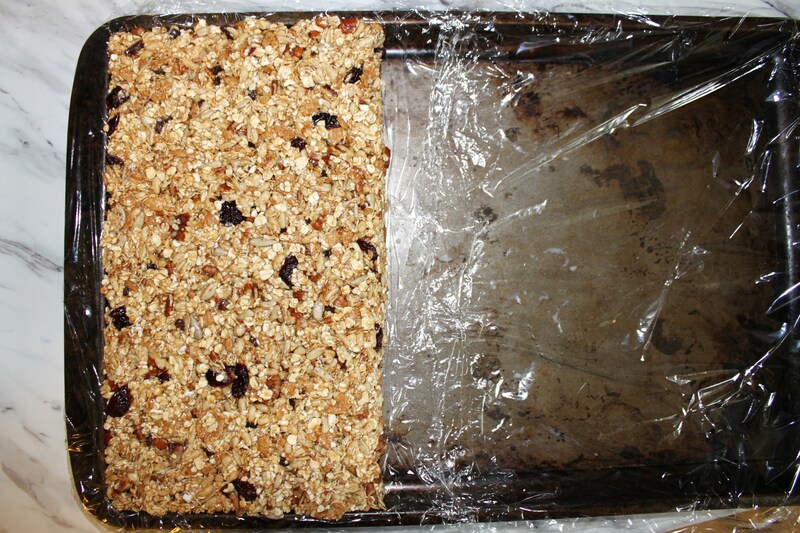 Remove from the freezer and lift the mixture off by the plastic wrap onto a cutting board. 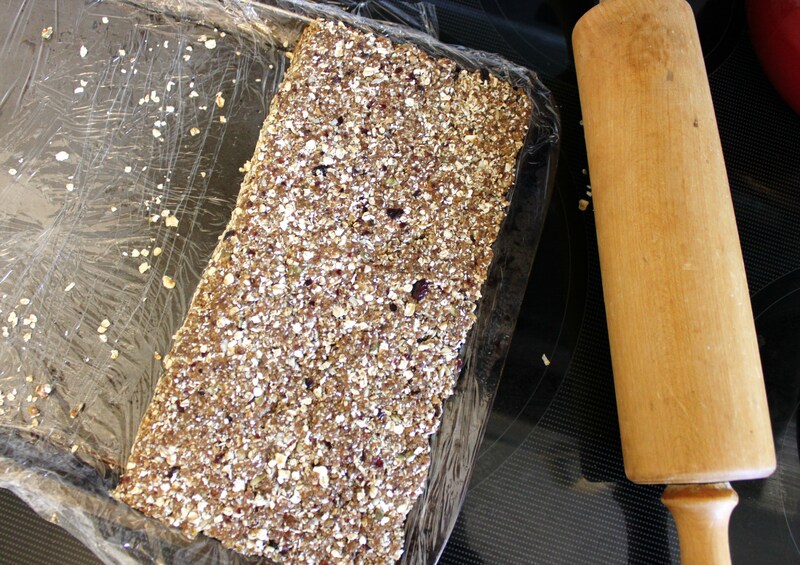 Cut into squares/bars with a sharp knife and store in the fridge for a week or more.